Rare hereditary recessive diseases were thought to be expressed in offspring only when both parents carry a mutation in the causal gene, but a new study is changing this paradigm. An international research team led by scientists at the University of Lorraine in France along with McGill University and the Research Institute of the McGill University Health Centre (RI-MUHC) in Canada discovered a new cause of a rare condition known as cblC, that they named “epi-cblC”. They reported it in patients from Europe and the United States. Patients who have cblC are not able to process *vitamin B12, leading to severe health problems. cblC is usually caused by two mutations – one inherited from each parent – in a gene called MMACHC. In some patients, the scientists found this disease actually results from a mutation on a single copy of the gene and the silencing of the second copy by a gene modification referred to as epimutation. This epimutation is produced by a mutation in an adjacent gene. Their findings, which were published this month in Nature Communications, may have an impact on diagnosis, and genetic counselling in families with genetic diseases, as well as in the development of new therapeutic approaches. “We described a distinct and totally new mechanism referred as epi-cblC, whereby an epimutation causes abnormal regulation of the expression of an important vitamin B12 gene. This can result in a serious genetic disease that can cause anemia, neuro-cognitive impairment, and even early death,” says the study’s lead-author, Dr. Jean-Louis Guéant, director of the Inserm unit of Nutrition-Genetics-Environmental Risks at University of Lorraine and head of the Department of Molecular Medicine and Personalized Therapeutics - National Center of Inborn Errors of Metabolism at the University Regional Hospital of Nancy. cblC is the most common of the inborn genetic errors of vitamin B12 metabolism. Based on one newborn patient case, who died from clinical implications of this disease, the scientists from the University of Lorraine identified an epimutation affecting the MMACHC gene that was present in three generations and in the sperm of the fathers of two of the seven patients. The French and Canadian groups subsequently found it in other cases from Europe and North America and discovered that it resulted from the altered reading of the adjacent gene. “This epimutation observed in patients causes MMACHC to shut down and become inactive. This has the same effect as an actual mutation in the gene itself. 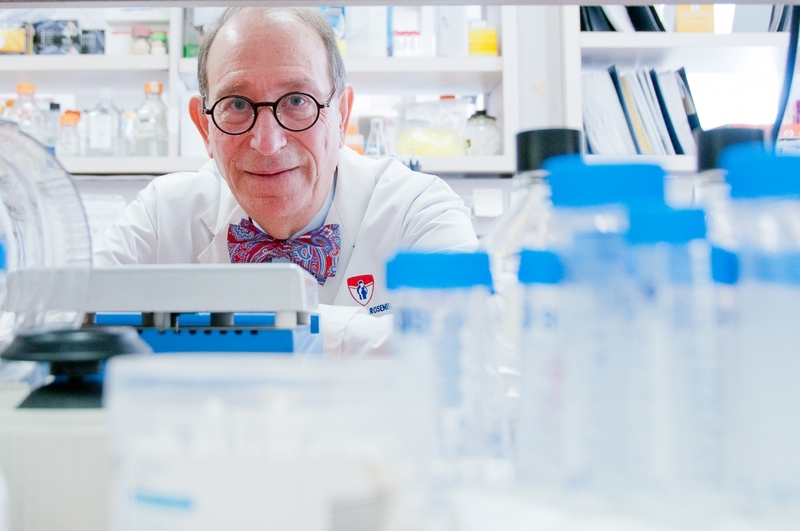 This mechanism may be involved in many more diseases,” explains study’s co-author, Dr. David Rosenblatt, a scientist in the Child Health and Human Development Program at the RI-MUHC and holder of the Dodd Q. Chu and Family Chair in Medical Genetics in the Department of Human Genetics at McGill University. These results build on a longstanding collaboration between research teams in France and Quebec, along with other collaborators in the United States (New York, Philadelphia, Boston) and Switzerland. In previous work, the researchers at the RI-MUHC and McGill discovered that mutations in the MMACHC gene were responsible for the cblC inborn error of vitamin B12 metabolism. Following the study of several hundred patients, there remained a small number in whom only one mutation could be found in MMACHC. Geneticists and molecular biologists will now need to look for epimutations in patients who have severe forms of rare diseases despite the lack of mutation in one of the two copies of the gene. The mechanism responsible for epimutation involves the two neighbouring genes of MMACHC, the gene responsible for the disease. Epigenetic mechanisms can also be caused by the environment (diet, stress, exposure to toxic products), and not by the chance of genetic mutations. "We have identified some 40 rare diseases where this mechanism can be produced at the level of similar trios of genes," says Dr. Gueant. “It points out that the study of patients with rare diseases is essential to the advancement of our knowledge of human biology,” adds Dr. Rosenblatt, who is the director of one of the referral laboratories in the world for patients suspected of having this genetic inability to absorb vitamin B12. *Vitamin B12, or cobalamin (cbl), is essential for healthy functioning of the human nervous system and red blood cell synthesis. Unable to produce the vitamin itself, the human body has to obtain it from animal-based foods such as milk products, eggs, red meat, chicken, fish, and shellfish – or vitamin supplements. Vitamin B12 is not found in vegetables. This study was made possible by the financial support of the Region Lorraine, i-SITE Lorraine University of Excellence (LUE), the French National Institute of Health and Medical Research (Inserm) and the Canadian Institutes for Health Research (CIHR). The original University of Nancy was founded in 1572 in the nearby city of Pont-à-Mousson and transferred to Nancy in 1768. The University of Lorraine has been created in 2012 by the merger of the universities of Nancy, the National Polytechnic Institute of Lorraine (INPL) and the University of Metz. The University of Lorraine has over 52,000 students and offers 101 accredited research centers organized in 9 research areas and 8 doctoral colleges. In association with several partners, including Inserm and the Regional University Hospital of Lorraine, the University of Lorraine has recently obtained the I-SITE label from the French call on excellence initiatives for a program called “Lorraine Université d’Excellence” (LUE). The Institut national de la santé et de la recherche médicale (Inserm) is the French National Institute of Health and Medical Research. It is the only public research institution solely focused on human health and medical research in France. Inserm consists of 339 research units, run by 6,500 permanent staff members. The UMRS Inserm unit on Nutrition-Genetics-Environmental Risks (N-GERE) studies the genetic-metabolic-environmental regulation of development and health. The approach is to unravel the epigenomic-metabolic-epigenetic mechanisms by which environmental exposures and the imbalances/deficiencies in the metabolic network affect very early development and mechanisms of complex and inherited diseases. The unit plays a prominent role in the Fédération Hospitalo-Universitaire (FHU) ARRIMAGE network between local INSERM units, clinical research of the University Regional Hospital Center of Nancy and the national reference centre for inherited metabolic diseases.